Ukulele Kids, Canada’s most successful lunch and after school program, loves teaching children to play the ukulele. Started in 2010, Ukulele Kids has taught this fun little instrument to almost 10,000 enthusiastic learners of all ages. Ukulele Kids brings this wonderful program to schools, camps and community centers across the country. Principals welcome the additional music program in the school while parents appreciate the convenience of having the lessons at lunch or after school. Our camper workshops culminate in an evening campfire performance which demonstrates how easy it is to learn the ukulele. I have been very impressed with the program here at Harrison. The enthusiasm and energy that you and your staff brought into our school when the program began was remarkable. You managed to capture an audience of 220 children during your promotional visit by sharing fun music that everyone could relate to. Your company was able to accommodate a variety of age groups by bringing in skilled and quality instructors to deliver the program. The bright and colourful instruments are carried proudly to school every Wednesday by students in the program. Last year, during our Grade 6 Graduation a group of students planned and performed a song together and three of them were playing their ukuleles! This was all done on their own initiative. 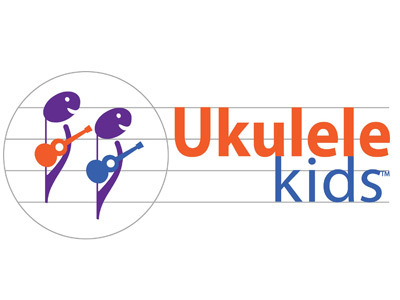 Ukulele Kids has introduced a new skill for many of our students which is something they will be able to expand upon and develop for a lifetime! Karen had wonderful things to say about the program and gave me some background information …to meet with you and discuss anything I can do to support the program and a schedule. Thanks for your dedication in helping to foster a love of music performance in our students! The ukulele performances went very well. It was great to see the kids up there really getting into it. Parents were especially pleased. I think it would be beneficial to have the program again in the fall. Parents have expressed an interest in having their children continue on with the lessons. Sounds good Geoff! Great performance last week! Appreciate your flexibility Geoff. We are a busy school but programs like yours are so valuable to that holistic education. That is amazing!! I am so happy! I can add a section in the newsletter that goes home tomorrow about the kindergarten students being able to participate and still register.